It’s a squeaky dog toy… shaped like a pint of beer! There’s no st-hopping the squeak! Is your dog a bit of a German Pinter at heart? Does it barley hop at the sight of a plain old chew toy? Well, we have a tasty chew toy that your dog is bound to want to sink its teeth into: this Pint of Beer Squeaky Dog Toy! 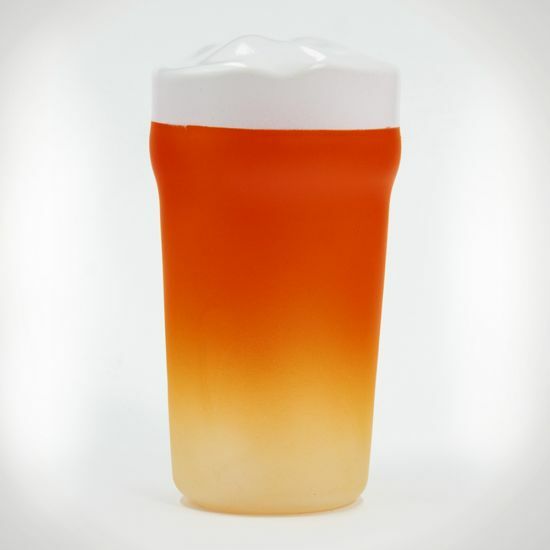 This is just like a regular chew toy… except it’s shaped like a delicious pint of beer, making sure it’ll be your dog’s ale-time favourite chew toy, bar none (pub none?). And, so that it’s a feast for your pooch’s ears, too, this chew toy squeaks like a well-used bar stool! So, if you love your dog as much as it loves a good brew (or chew), you’ll order this Pint of Beer Squeaky Dog Toy with your next round!